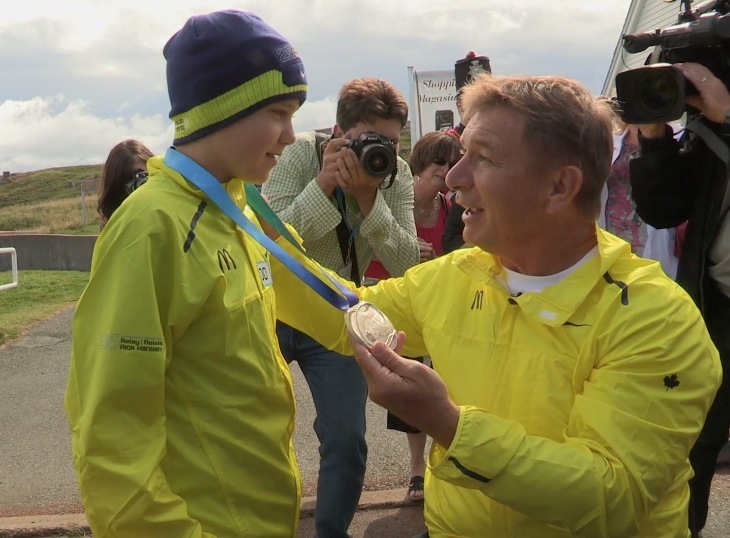 Twenty-five years to the date of his Man In Motion World Tour commencing its cross-Canada journey, Rick Hansen returned to Newfoundland and Labrador to realize a new dream: the Rick Hansen 25th Anniversary Relay. This time, one Man In Motion will be represented and celebrated by many in motion, as 7,000 participants from across Canada who have made a difference in their own communities and in the lives of others will walk, wheel or run in the nine-month, 12,000 kilometre Relay that retraces the route of Rick’s original Tour. Chris Wheeler Media is filming the Rick Hansen 25th Anniversary Relay and covering the journey providing broadcast packages and posting web episodes from key locations across Canada.